"... I approve of the more intricate pop constructions of the music ... A-." "... by far his most accessible though he has sacrificed none of his lyrical or musical bite. There is more of a pop feel ..."
"... a killer in several senses of the word ... it hardly hurts that Costello's songs are never less than snappy, even when their drum parts are reminiscent of machine guns, or that Nick Lowe has produced him this time with a large and general audience in mind." "... Costello's most relaxed, mellow and gentle album yet, at least as far as the musical content is concerned ... (mixes) quirky, bouncy and attractive melodies with subdued, rhythmic and controlled playing and slick harmonies ... after playing this at least 10 times I'm more impressed than ever. He may be getting overconfident, but there are precious few new lyricists in his league." 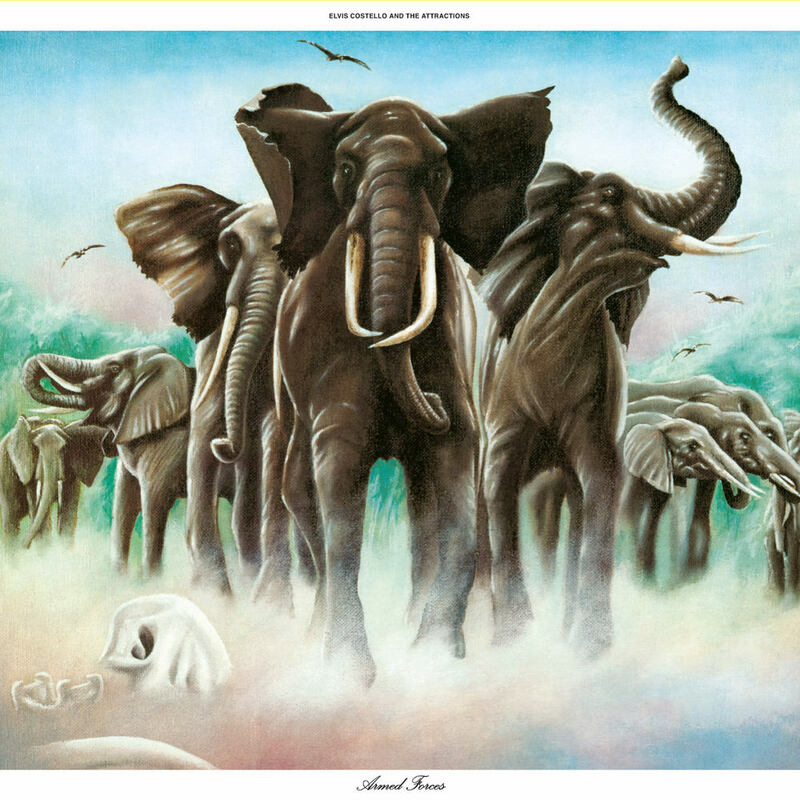 By his third album, released in 1979, the public had caught up with the critics and made Armed Forces a hit for Elvis Costello; his commercial breakthrough after two years of rapturous critical praise. Included on Rolling Stone's list of the 500 greatest albums of all time, Armed Forces is the highest charting album of Costello's career and contains his highest charting single, Oliver's Army.